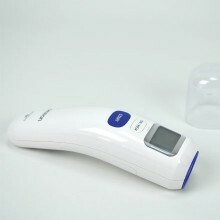 Infrared thermometers offer a very quick and precise measurement of the body temperature, with no need to wake up the patient or to touch him. Measuring the body temperature gives you important information for being able to monitor the course of the desease. With these thermometers you receive quick and reliable results.